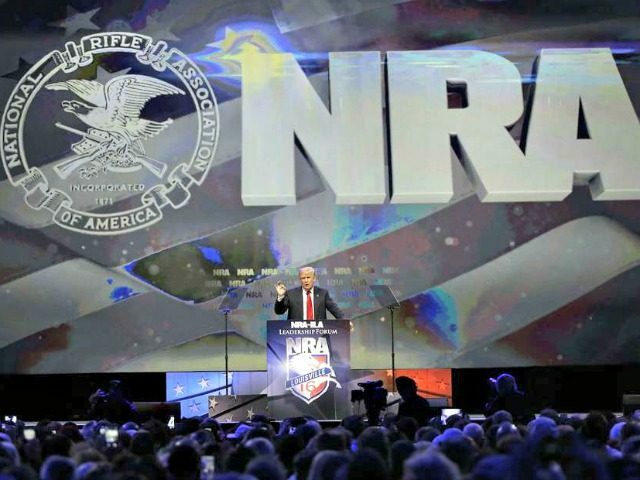 During a June 13 speech, presumptive Republican presidential candidate Donald Trump said he will be “meeting with the NRA” to discuss how Americans can best defend themselves in the wake of the Orlando terror attack. He said this after stressing the dangerous situation Americans now face here at home, as illustrated by the bloody and “savage” attack on Pulse Orlando which left approximately 50 dead and 53 wounded. I will be meeting with the NRA–which has given me their earliest endorsement in a presidential race–to discuss how to insure Americans have the means to protect themselves in this age of terror. I will be always defending the Second Amendment.